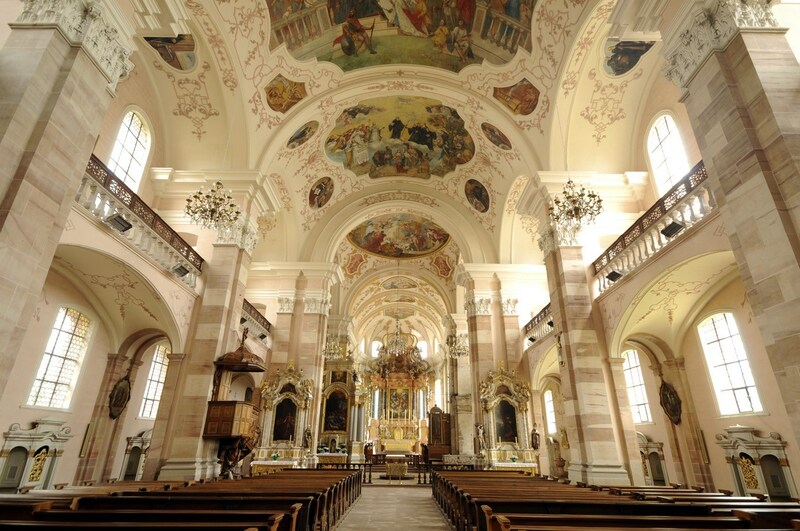 The only example in France of Vorarlberg’s baroque style, this impressive baroque church overlooking the Ried is the pride of the small village of Ebersmunster. It was built by the Austrian architect Peter Thumb (1712) on the site of a medieval abbey church and then rebuilt between 1720 and 1726, following a fire. Elaborately decorated with stucco, gilding and vast paintings, it is also home to an organ dating from 1730, the work of the famous organ builder André Silbermann. Opening hours: From November to May from 9.00 am to 5.00 pm and from June to October from 9.00 am to 6.00 pm.